For the person who loves his little fishies, this is the custom shirt to create. 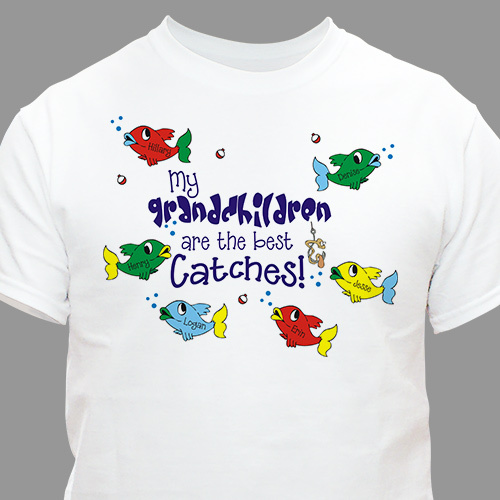 Our fish Personalized T-Shirts will be customized with any title up to 16 letters — including grandchildren, children or students — and up to 30 fish names! Made of premium 100% cotton, this Personalized Shirt comes in three colors and adult sizes S-4XL. like the brightness of the fish with names of grandchildren. Absolutely adorable. I like that you didn't make my daughter a pink fish!